Richard Posthuma suffers from chronic headaches. He has designed an app that will help advance research into and treatment of this condition. Very little is known about the possible causes of this chronic condition, which is associated with periodic intervals of intense pain. Cluster headache has been described since the Middle Ages but its causes are still unknown. Today, in the European Union alone, 600,000 people suffer from cluster headache. There is no cure, but patients can find relief from symptoms once they have been diagnosed. And they can find out about their personal triggers for an attack, as Richard did. Richard wanted to help other patients find their triggers. But he discovered that there is not enough patient data available to recognize patterns. To change that, he teamed with the Dutch Federation of Headache Centers, Utrecht University, and Delaware, and started developing an app that helps collect and analyze patient data systematically. 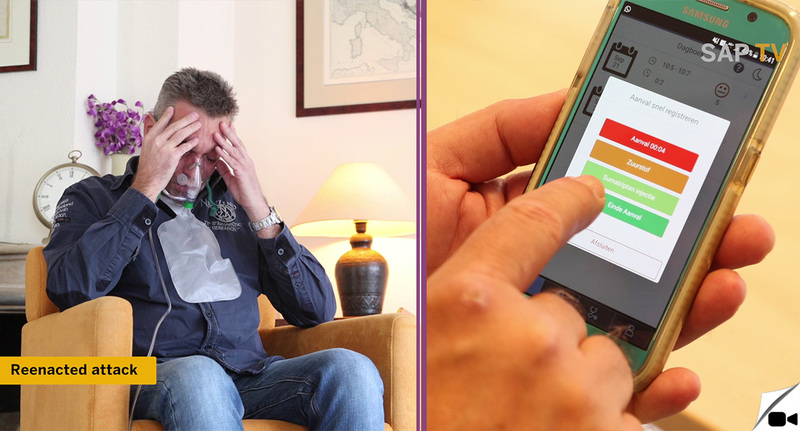 Now, three years later, the headache app is being trialed by patients at Boerhaave Medical Center in Amsterdam, and at two other specialized headache centers in the Netherlands: Isala Hospital in Zwolle and Twee Steden Hospital in Tilburg. The app runs on the SAP Cloud Platform and SAP HANA. It enables medical and other related data about chronic headache patients to be collected, stored and analyzed. It can be used by patients suffering from any of the four types of chronic headache: cluster headache, migraine, tension headache, and headache caused by overusing medication. The data is combined with time-stamped GPS data about weather conditions, thus providing an enormous wealth of data. In the future, the headache app could even collect patient data from all 40 headache centers in the Netherlands to create a consistent data base to advance research on chronic headaches. Recent data shows that 50 million people suffer from chronic headache in Europe, and the condition costs the region €112 billion a year. Richard’s aspirations don’t stop here: “My wish is to help patients have their condition diagnosed sooner. And I would really like to create a version of the app for children.” In the future, we envision that the platform and the app will used for other chronic conditions as well.